He has $2.68 in checking, $1.03 in savings. Former Villanova guard Donte DiVincenzo wasn’t expected to declare for the NBA draft until his monster performance against Michigan in the national championship game. It’s probably a good thing he went pro, because his bank account could use a boost. The Bucks took DiVincenzo with the 17th pick in last month’s draft but he has yet to sign his rookie contract, a fact that’s painfully evident in his bank account. Teammate D.J. 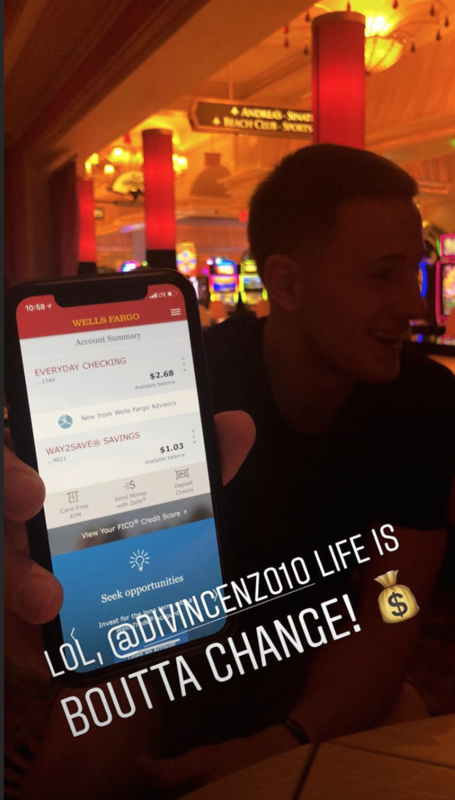 Wilson shared a photo of DiVincenzo’s Wells Fargo app on his Instagram story. He has $2.68 in checking, $1.03 in savings. The worst part is that he’s out in Las Vegas right now for the summer league with no money to gamble. The good news is that his rookie deal, once he signs it, will pay him over $2 million this year.